Baldwinsville Bees shutout the Mohawk Valley Raiders, 1-0, at the Lysander Ice Arena in Baldwinsville, New York on Tuesday, February 7, 2017. SPECIAL: $5 Photo Downloads for Facebook, Google+, Twitter or other Social Media profiles. Select the Download Tab after clicking the Buy button. Click the Buy button above the photos to order one or more than one. (Note: The copyright watermark will NOT appear on the final prints or gift items.) There's a selection of different print sizes, photo gifts and specialty prints like canvas. Leave a comment if you have any questions. Thank you for your interest and let me know how you feel about the item or items you purchased. 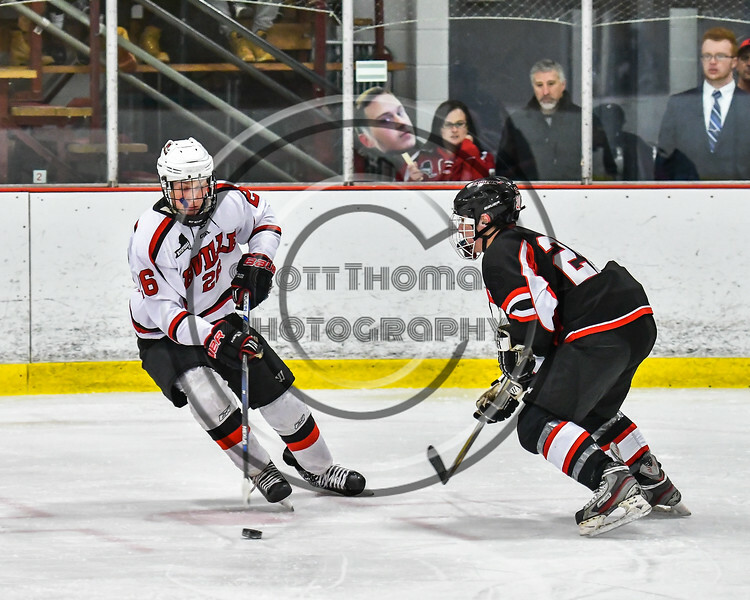 Baldwinsville Bees Zach Perez (26) stickhandling around a Mohawk Valley Raiders defender in NYSPHSAA Section III Boys Ice Hockey action at the Lysander Ice Arena in Baldwinsville, New York on Tuesday, February 7, 2017. Baldwinsville won 1-0.